There are not many places around the world that are considered to be unique. 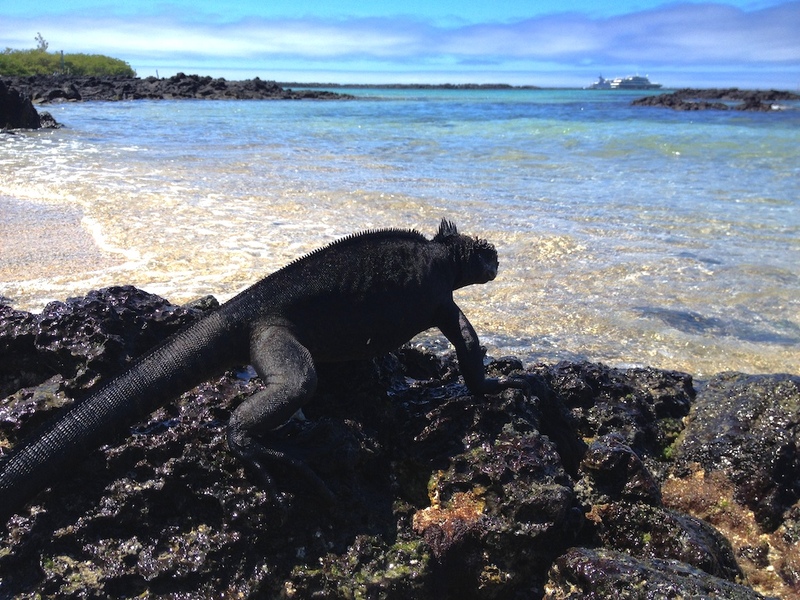 The Galapagos Islands, without a doubt, are one of them. Anyone who travels there comes back with a smile on their face. Simply because you get to see extraordinary species and get up close with wildlife that you usually only know from documentary channels such as National Geographic. 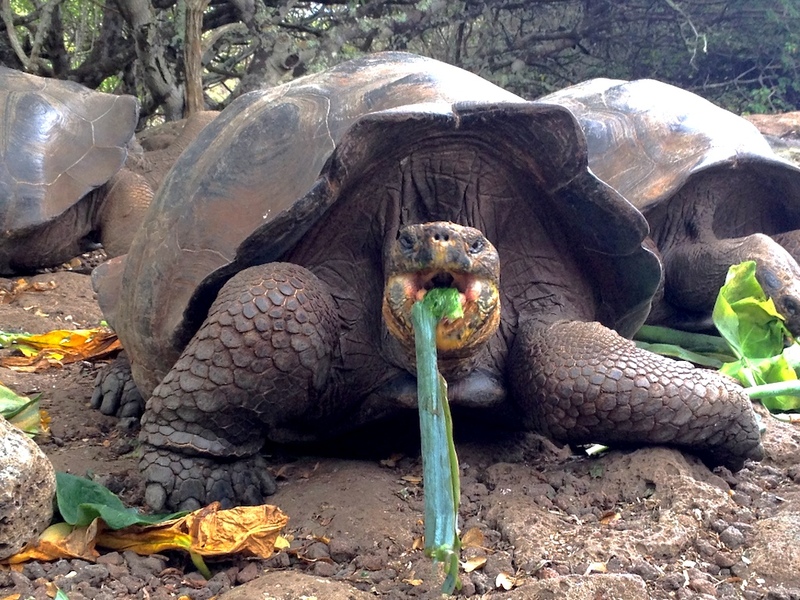 On the Galapagos Islands, iguanas, sea lions and giant tortoises walk around like cats and dogs in most other parts of the world. Majestic birds like the albatross and colourful ones like the blue-footed booby decorate the sky. 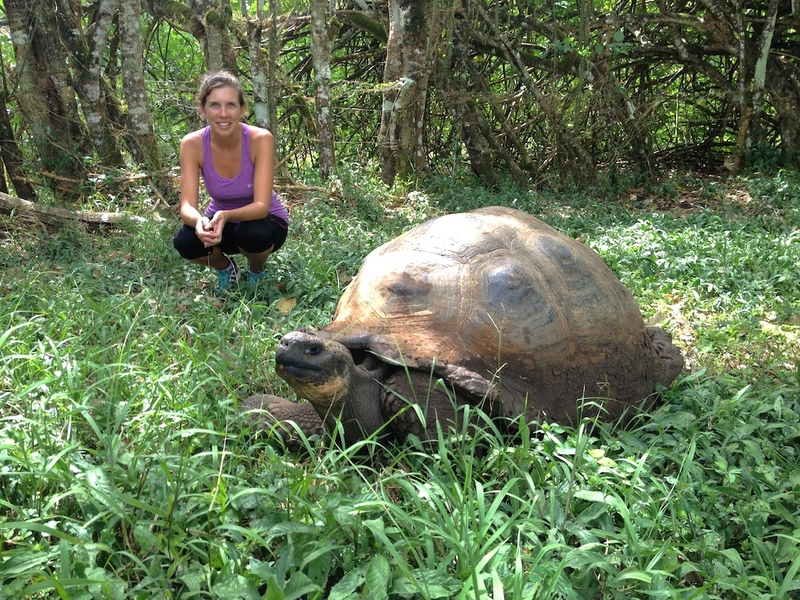 The good news is that, despite common beliefs, you can travel to the Galapagos Islands, even on a tight budget! 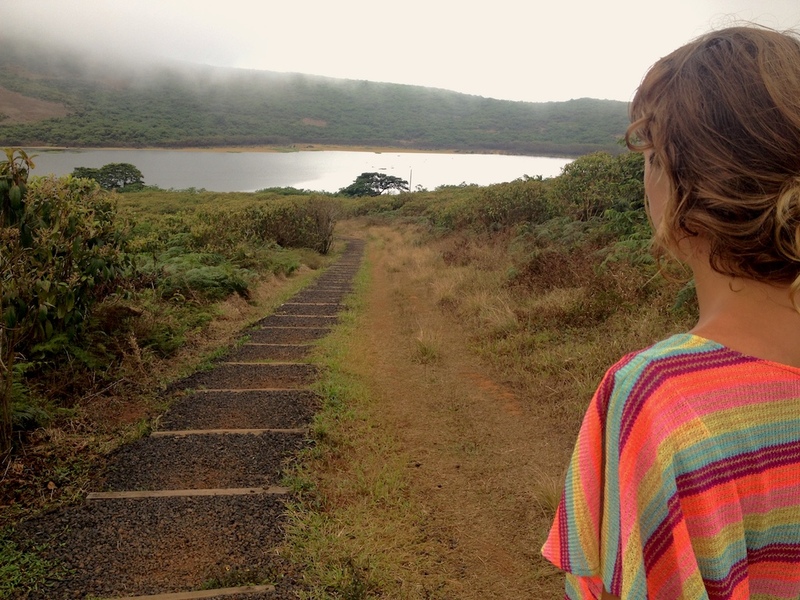 Here is how we spent 14 days on three islands for less than 1000 US dollars. 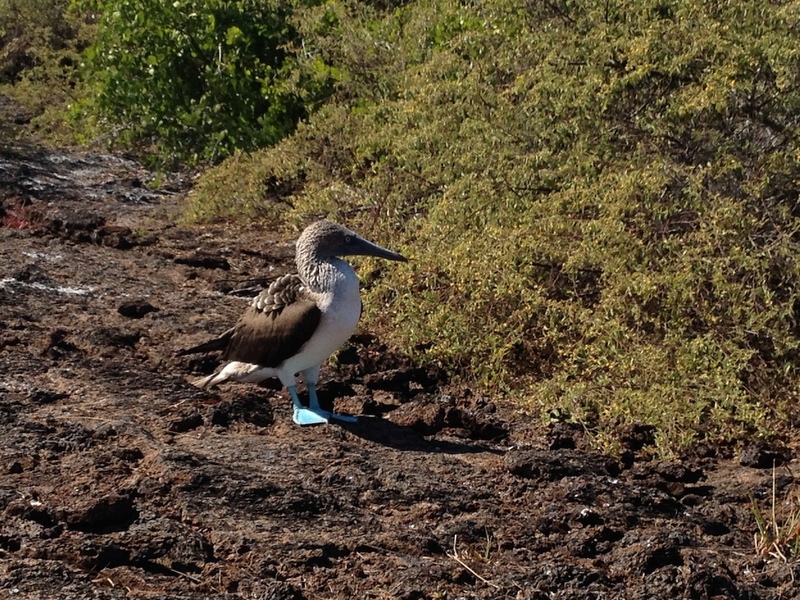 When research how to visit the Galapagos Islands, you get the impression that there is no way other than with a cruise. I was a bit frustrated after I read how much money you were asked to spend to get around and enjoy the individual islands. Then I found offers from tour agencies that sell 4-day cruises for around US 800, which first sounded not that bad. But after reading the comments of other people who had done such a short cruise, it became clear that within 4 days you lose 2 days for the boarding and cruising back to the original port, which didn’t sound like a great deal after all. It became even worse when I found out about the offers that would take you all the way around the islands, stopping at the uninhabited ones with more chances to see unique wildlife. It said, your best choice is to go at least 12 to 15 days for about 6000 to 8000 US dollars, depending on the type of boat you choose… I wasn’t convinced about that. 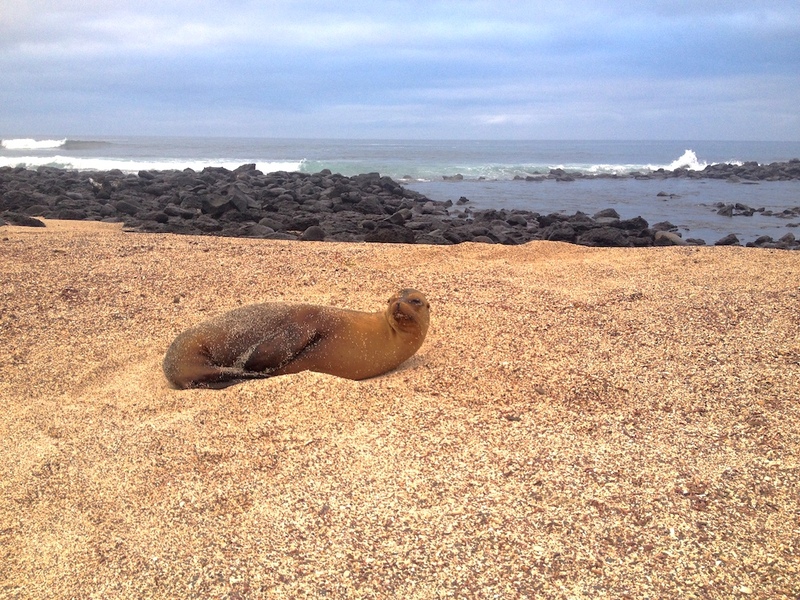 If you decide to not spend a fortune in order to visit the Galapagos Islands, and instead do it on your own, you will be better off to simply arrive and walk around to see what available. Don’t book any tour or accommodation online, is my advice! The only reservation that we made in advance was our hotel on the first night, because the website of the Ecuadorian government says that you have to show proof of your hotel reservation and pre-register online. We did not do the latter, and it was perfectly fine to fill out the form at the airport in Quito. Also, I found that the booked hotel room wasn’t really necessary, as the officer at the airport did not pay much attention to the copy of our reservation that I presented to him. I guess, it all depends on the officer at the airport, so, to be on the safe side, book your flight and the first night on your chosen island and you’ll be fine. When in Ecuador, you have two options to get to the Galapagos Islands: you can either depart from Quito or from Guayaquil. The flights from Guayaquil are slightly shorter (1.5 hours) and a tiny bit cheaper (190 US dollars instead of 220 from Quito, as of in April 2016). 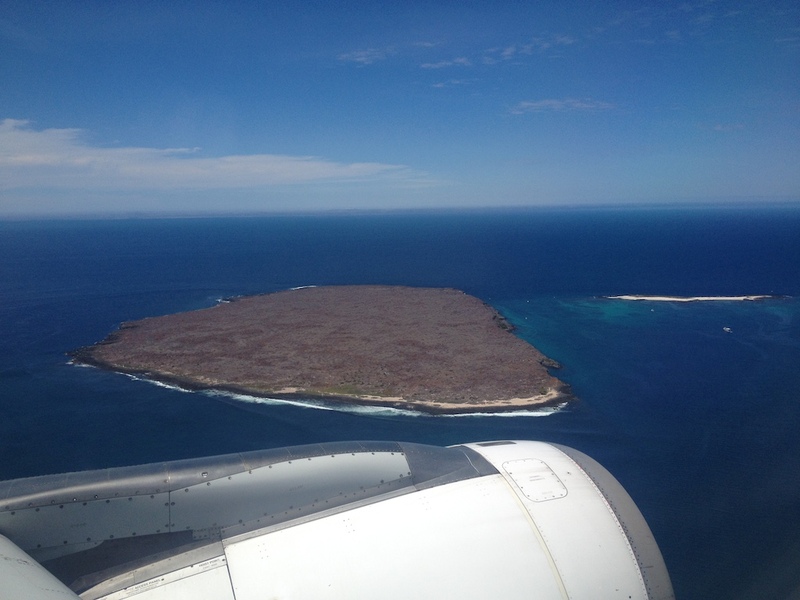 Both airports connect with the two airports on the Galapagos Islands: Seymour Airport on Baltra Island or San Cristobal Airport on San Cristobal. For us, it was better to fly out of Quito, as we arrived by bus from Colombia. From Quito, we flew to Baltra Island (it’s inhabited and only a short distance away from Santa Cruz, see description below). 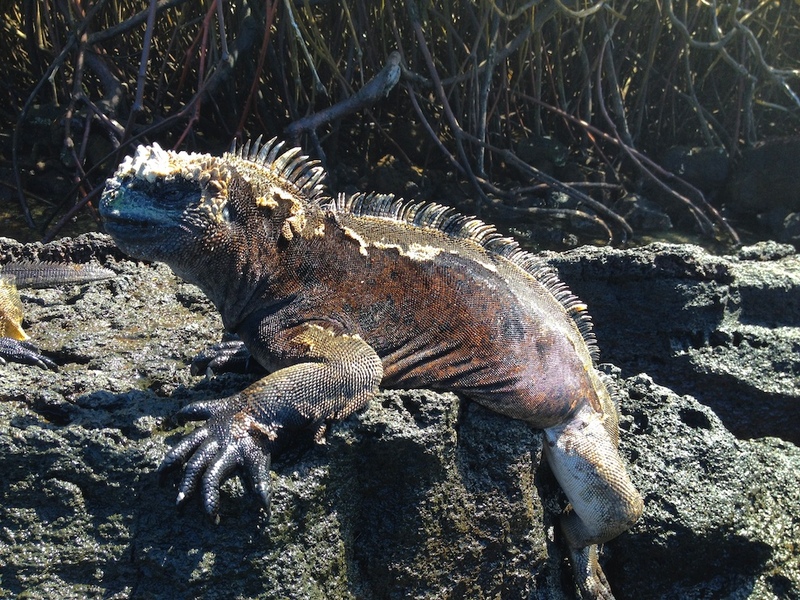 We stayed on Santa Cruz Island for the first four days. Then, we booked our return flight separately from San Cristobal to Guayaquil. This way, we made the most of the ferry connections between the islands (see below) and got to see both Quito and Guayaquil. If you make your way up from Peru it probably makes sense to fly from Guayaquil and follow our route in reverse. Before departing, you will have to pay 20 US dollars for your Transit Control Card (TCT). Keep it throughout your whole stay, as you will have to show it again at the airport when you leave the Galapagos Islands. Once you arrive on either of the above airports, you will have to pay an entrance fee of 100 US dollars to the national park. That’s it, you are in! From now on your expenses will depend on your style of travelling and your selection of activities. Once you land on Baltra Island, there are shuttle busses (2 US dollars) that will take you to the tiny port where small speedboats/zodiacs (1 US dollar) connect Baltra Island with Santa Cruz. 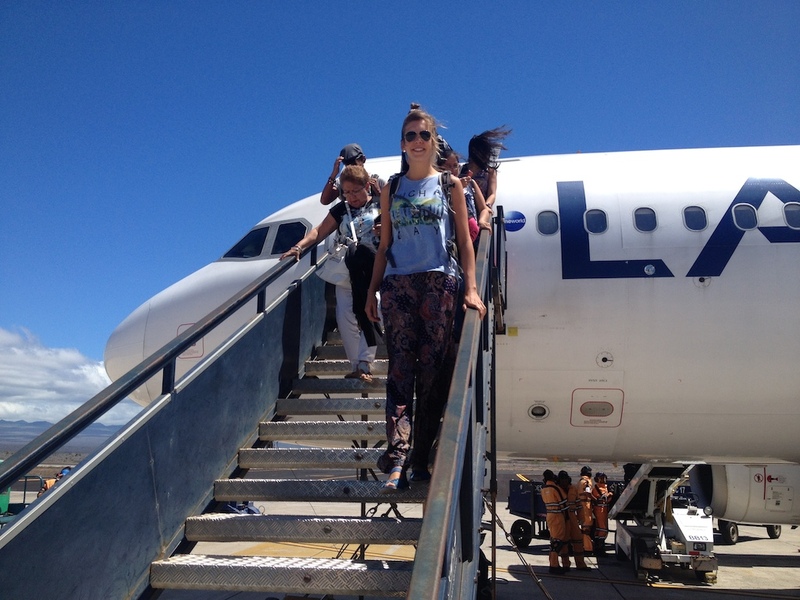 On Baltra Island, there is nothing but nature and the airport. The bus ride from the airport to the port takes about 15 minutes and gives you an idea of the landscape you will be seeing on most of the other islands: dry, desert-like, with tons of cactus and lava rocks laying around. Myth #2: You need to book guided tours to see wildlife or natural sights! No matter which of the four populated islands you visit, you will be able to walk to most of the popular tourist spots. You can also rent a bike, take a taxi or in the case of Santa Cruz, there is even public transport that takes you to some of the points of interest (e.g. ‘El Chato’, see below). Some destinations can only be reached by water taxi (which are usually around 0.50 US dollar cents to 1 US dollar). And yes, there are few cases where you will have to book a tour, like for example to ‘Los Tuneles’ on Isabela Island or to ‘Kicker Rock’ on San Cristobal. But it’s a myth that you HAVE TO have a guide in order to get around! There are speedboats that operate between the four main islands (Santa Cruz, Isabela Island, Floreana Island, and San Cristobal). To each of them it takes about 2 hours (to Floreana Island a little less, about 1,5 hours), and the cost is always 30 US dollars one way. If there is one bad thing about the Galapagos Islands, it is that you can’t connect between the individual islands. Unfortunately, you always have to go back to Santa Cruz and start your trip over again to the next island. TOTAL: 120 US dollars to visit 3 islands. This might look like a lot of money, but the total price of this travel option is actually a lot less than you would pay if you went with a tour agency from Santa Cruz. They offer day-trips or 2-3 day trips to visit spots near Santa Cruz or the other islands. 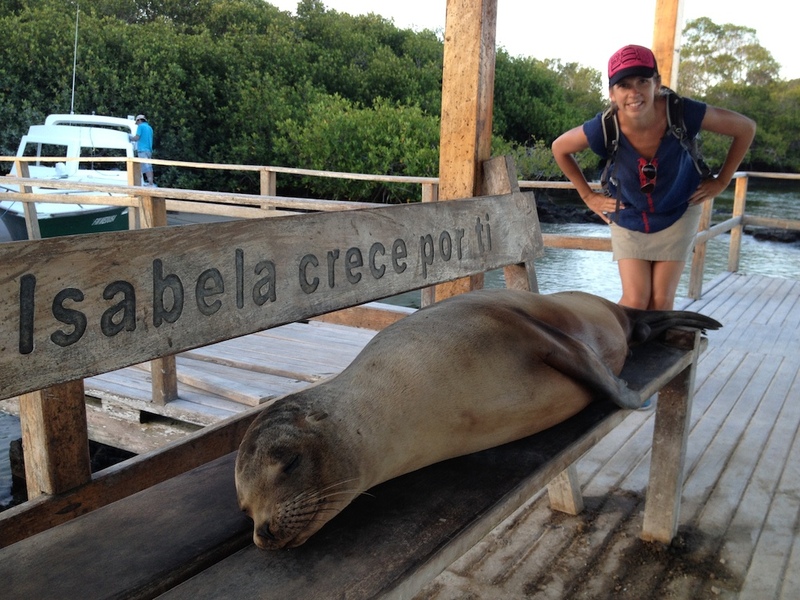 But keep in mind, if you go, for example, to Isabela Island for the day or with a 2-day trip from Santa Cruz, you will be bound to the schedule and selection of the agency. Plus, you will end up spending more money than if you go on your own and use the speed boat example from above. For us, it was an obvious decision, as we wanted to go independently to each island and enjoy our time on our own terms. 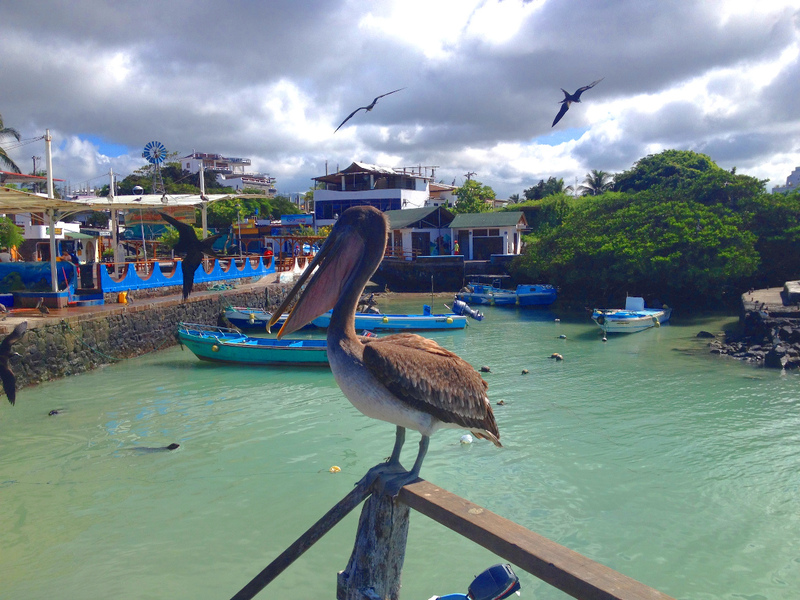 It’s like coming to a little harbour town, yet, Santa Cruz is the busiest of all the Galapagos Islands. With its 80,000 inhabitants and central location between the other islands, Santa Cruz operates the main tourism of the Galapagos Islands and functions as the ideal spot to explore the nearby islands on day-trips. 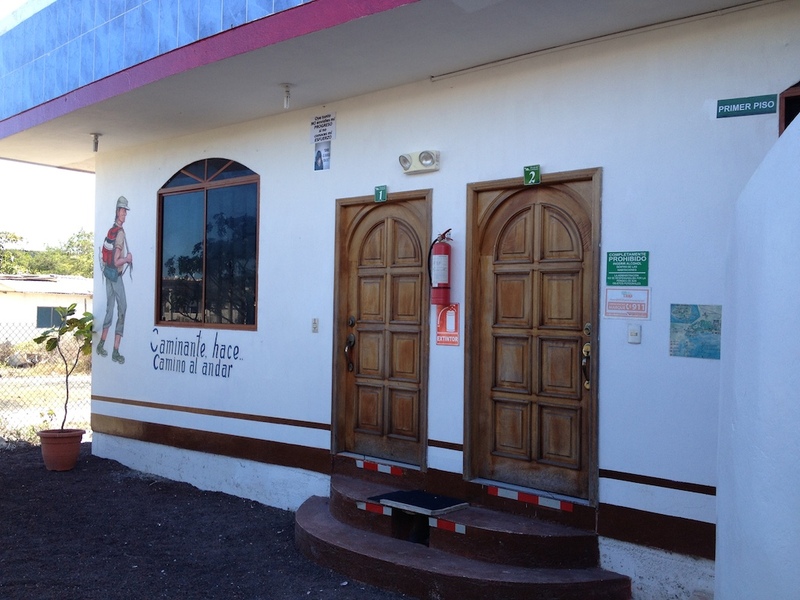 On Santa Cruz, we stayed four days at Hostel Sir Francis Drake for 30 US dollars per night/person. It is one of the budget hotels on Santa Cruz, but a very decent one and centrally located just a short walk from the harbour. Our favourite spot on Santa Cruz is Tortuga Bay. From the town centre, you walk about 10 minutes to the entrance where you register your name and the time of your arrival. This way, the guard knows who is missing or not respecting the closing time of 6pm. They close the beach at that hour because that’s the time when the sea turtles normally come out of the water to lay their eggs in the beach area. From the entrance to the beach it’s about a 40-minute walk/ 2,5 km, so bring your walking shoes and all you need for your beach day as you won’t find any kiosk or store to buy water/food. And that is exactly why we loved it there so much. This is where you can appreciate pure nature and beautiful white sand that you will share with only a handful of other tourists. The guard will tell you not to swim at the main beach, ‘Playa Brava’ (translates to ‘Wild Beach’) due to the strong currents. Instead he’ll ask you to walk to the very far end to reach ‘Playa Mansa’ (Quiet Beach). Playa Brava is a lot prettier because it faces the open ocean, whereas Playa Mansa is hidden behind the bushes and looks more like a lagoon rather than the ocean. And you have so much wildlife to watch (bring snorkel gear!!!) in the water and at the beach. We noticed that most people stay at the far corner of the beach and even the lifeguard doesn’t mind if you dip into that rather quiet corner that connects both areas. If you are lucky, you might be able to watch a baby turtle making its way out of the egg and into the open ocean. We literally arrived one minute too late after a baby turtle crawled out of one of the 48 turtle nests and into the water… 🙁 All we saw was the excitement of the gathering tourists that just witnessed this unique natural spectacle. Lucky them! 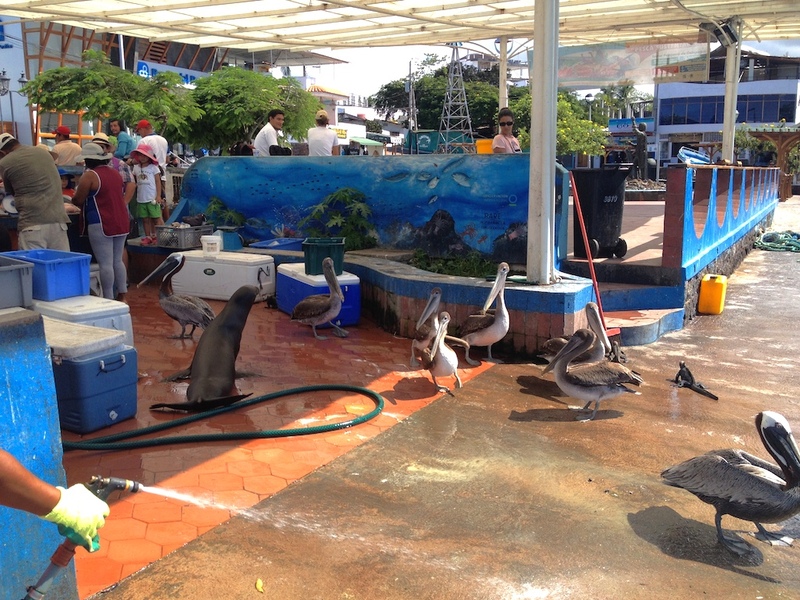 The local fish market: battle with sea lions, pelicans and iguanas for fish! In comparison to Santa Cruz, it feels a little bit less busy and more remote. The streets are not paved, and you are mainly on your own when visiting the natural sites, as the tourists spread out evenly all over the island. Perhaps this is also because we visited in low season, which is in April & May and September & October. 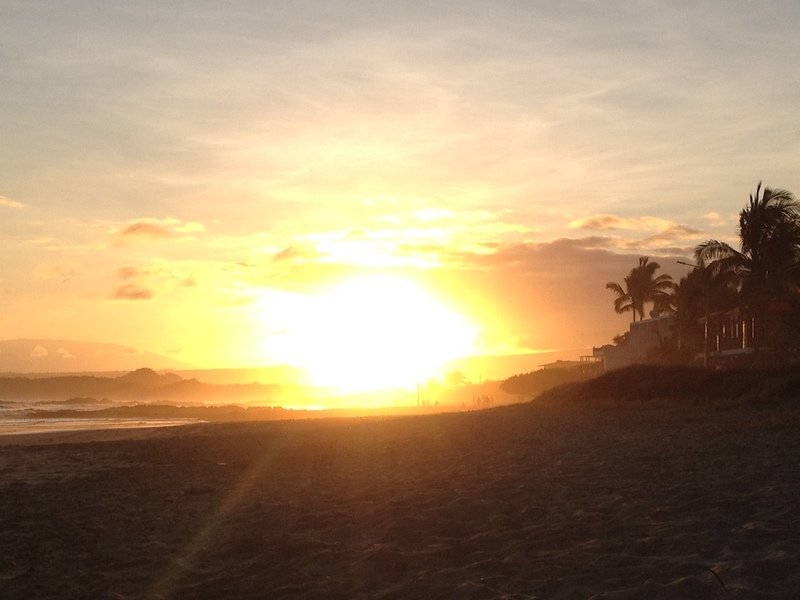 We also witnessed breathtaking sunsets every night at the beach off the Malecon. What makes this place special is the very friendly and helpful owner! He gave us info about the island and even let us wash our clothes for free! We stayed in a double room with TV, kitchen and ensuite bathroom that costs 15 US dollars per night/person. On the patio, you have hammocks to relax after your hikes or where you can enjoy your self-prepared meal in good company. 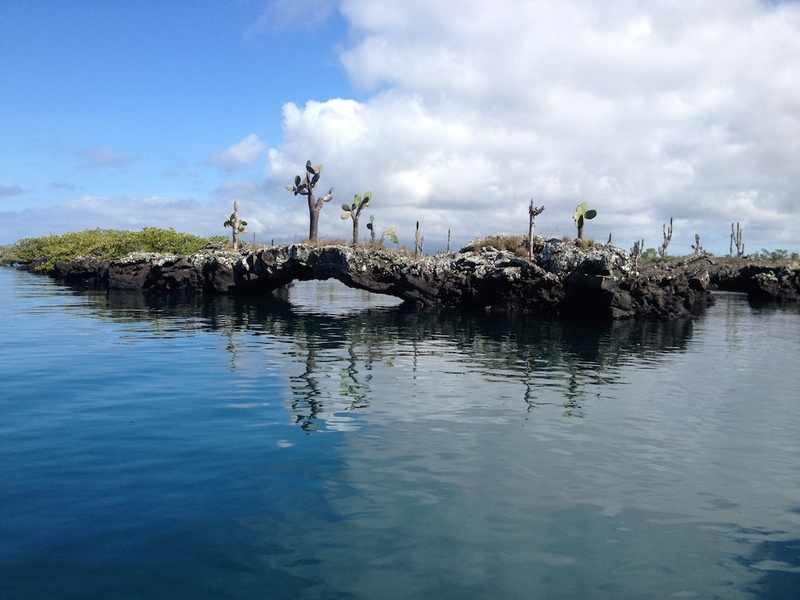 Even though the Galapagos Islands are a special destination in general, ‘Los Tuneles’ is outstanding as it has a very exceptional landscape that you probably only see there. The tunnels that you can find in this part of the island are formed from lava, which lay above or below the water. 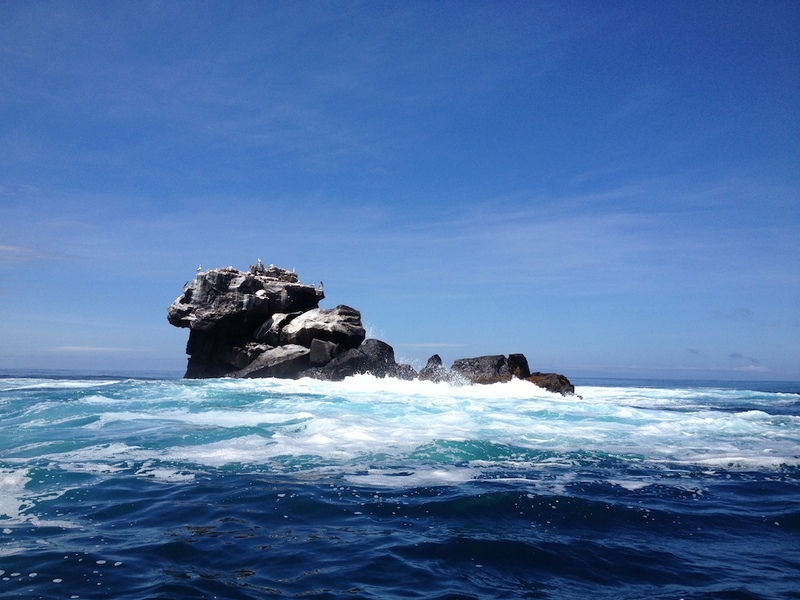 You can visit ‘Los Tuneles’ only by boat, in fact, this is one of the must-do tours while on the Galapagos Islands, or you will really miss out on something special. Our day trip cost US 120 dollars and included the transportation to the tunnels (a 40-minute boat ride,) an English-speaking guide, two snorkel stops (plus equipment) and a lunch box. About five minutes before you arrive at the tunnels, it becomes tricky and the crew tells you that it’s not yet clear if you are lucky enough to get to the spot. That’s due to the fact that the boat has to cross the surf to enter a calmer part where you find the tunnels. Depending on the day, the waves can be too big and too dangerous for crossing, because there is a high chance for the boat be tipped over by the waves. We were told, that just a few days earlier, one of the boats actually tipped over and some of the passengers broke their legs. We were lucky that day, as our captain managed to get through and we were able to get out again without any incidents. On arrival, the boat cruises through the channels that separate the tunnels and you can enjoy the impressive landscape. 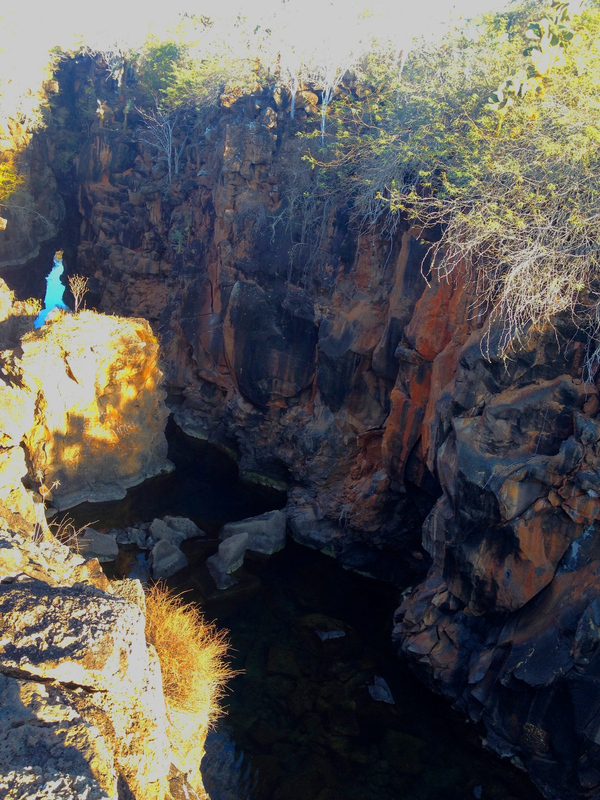 Then our captain stopped for us to walk around on the lava formations. Our tour guide explained all about the rock formations and species there. We saw a lot of blue-footed boobies and sea lions. 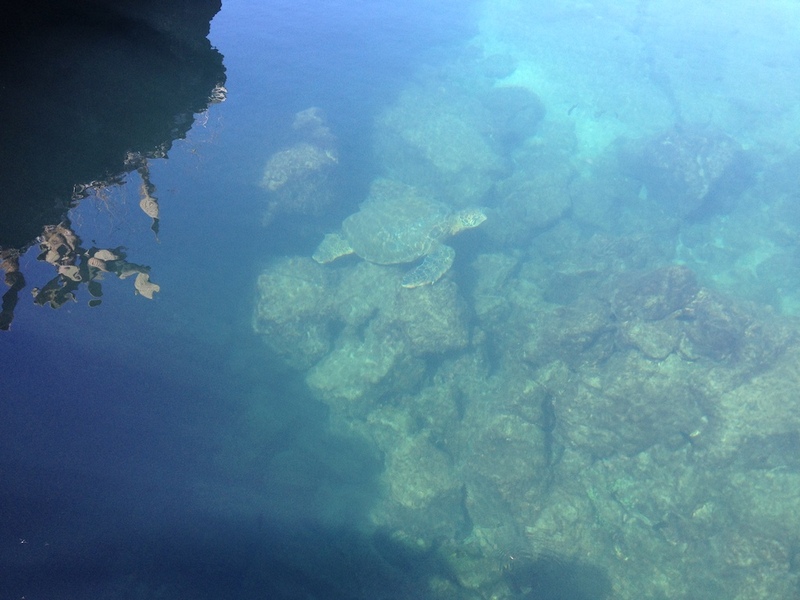 We were also able to watch a shark, turtles and golden Manta rays swim past through the tunnels. One part of the snorkelling is done right at the tunnels, which is a bit tricky because the water is really cold in this area. We only lasted 20 minutes and managed to swim through just a couple of the tunnels before we had to get out of the water and warm up. This is probably the downside of travelling in low season, although I read that the water temperature in general is never too warm in the Galapagos, so you’re best advised to put on a wet suit. Luckily, the second snorkel spot was in a bit warmer water. Afterwards, the boat takes you to a nearby bay area, which is known for its Golden Manta rays, white tipped reef sharks, turtles and seahorses. ‘Wall of Tears’: rent a bike or walk there! The way is 6 km long and leads you along the beach. 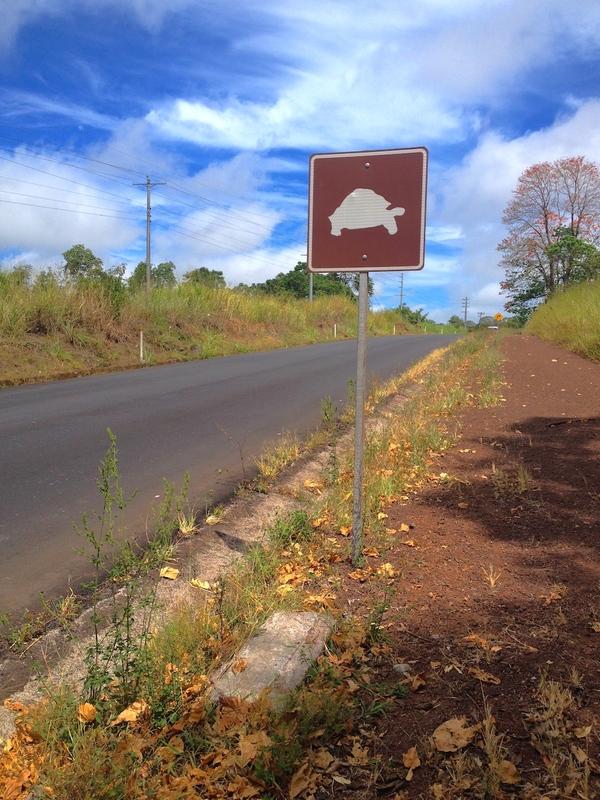 It’s a very scenic route with plenty of interesting spots to stop at or swim/snorkel! Snorkeling at ‘Las Perlas’: Just walk down to the harbour and turn left, there is a little dock to hop in from and you are free to snorkel your way through the area. No need for a guide! Watch the surface, some iguanas might swim towards your way!!! On this island, life picks up the pace again: San Cristobal is a bit busier than Isabela Island but still a lot quieter than Santa Cruz. The island’s town centre is mainly spread along the shore and has about four parallel streets up the hill with shops, hotels and tour agencies. When we arrived, we hopped off the boat and turned left to walk along the water to look for accommodation. 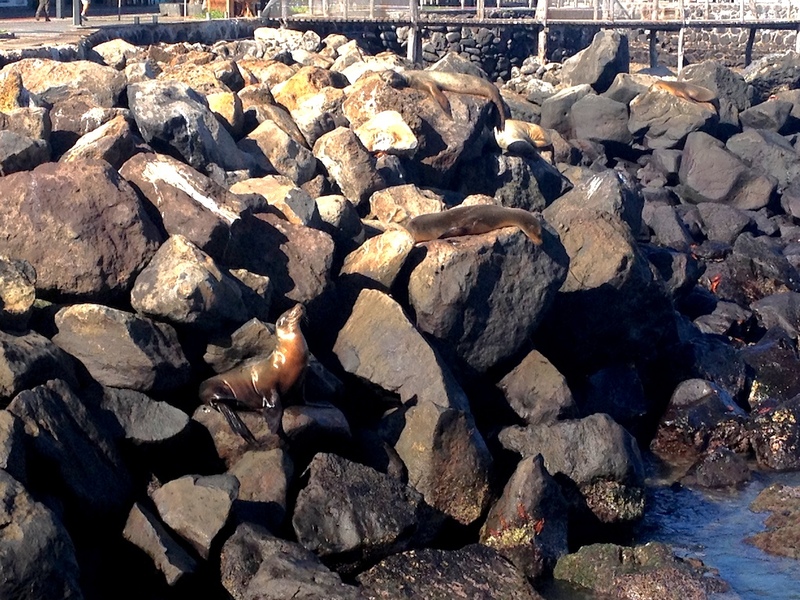 Accompanied by the funny smell and noises of the sea lions that lay on the rocks at the harbour area, we found a hostel just a few blocks down the road, called Hostel Galapagos. Perhaps due to its relatively prime location, they have a bit steeper prices than we were used to. The double room we stayed in cost 30 US dollars per person/night. But we liked it because they have a nice patio with ocean view and lovely staff that help you to find your way around the island. 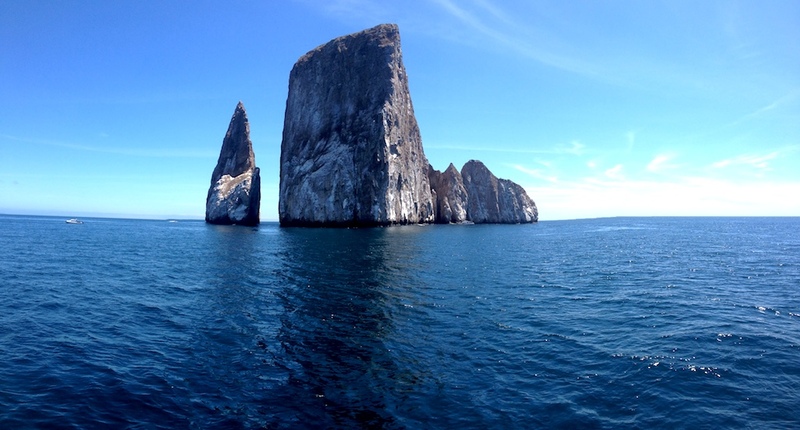 If you’re a scuba diver, you won’t want to miss diving in the Galapagos Islands. Kicker Rock was our spot of choice, simply because we were supposed to have the highest chance of spotting hammerhead sharks in this area. These funny looking creatures stop at this rock formation on a regular basis to get cleaned by smaller fish, and to eat the high density of fish. Sharks don’t like cold water (something they have in common with me), and we went there in the begging of May which is when the water temperature drops to around 15 degrees Celsius. Only when we arrived, did we realize that it was already too cold for these sharks. After some disappointinment, we were excited to see playful sea lions cruising in the water, loads of turtles, plenty of fish and the occasional White Tip Reef Shark. It was a great experience and we had two fun dives where we swam through the canyons on a mission to encounter big fish. What an awesome article! 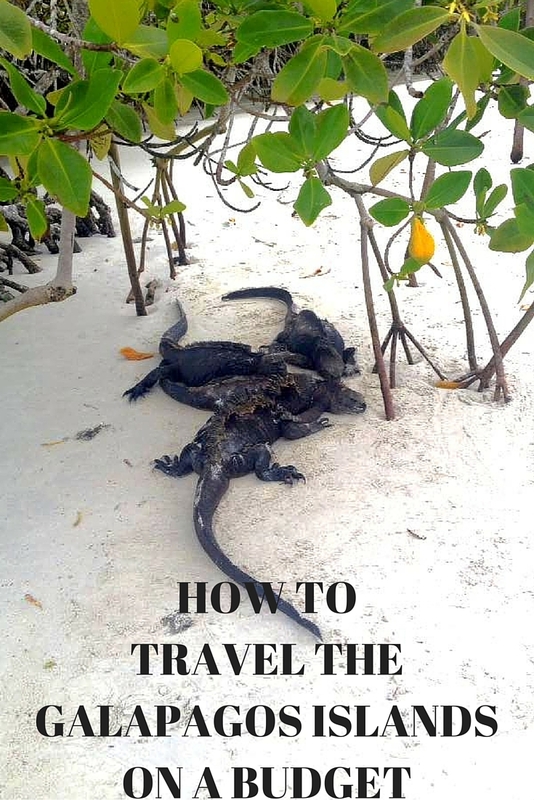 The Galapagos have been on my list as a destination for someday.. but your article has really great practical advice! I’m pinning for when I plan my trip there! Thanks a lot, Brittany! Glad I could help, hope you enjoy it as much as I did when you go! Thanks Cynthia! Glad you consider going, it really is such a special place. Hope you’ll get the chance one day! 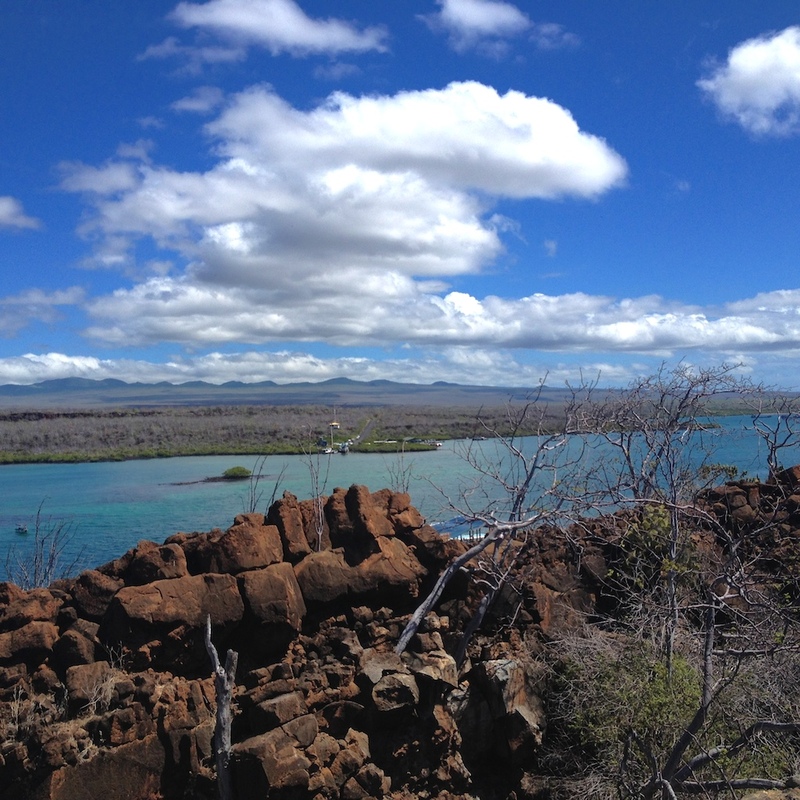 I didn’t think it was possible to see the Galapagos for this cheap. They are back on the bucket list. Thanks. Hey Kaara, thnaks for that! It really is 😀 Hopefully you’ll get the chance to visit one day!